Jolly Jack the Clown singing during the 67th Annual Grimaldi Clown Church Service at Holy Trinity Church, Dalston, East London. 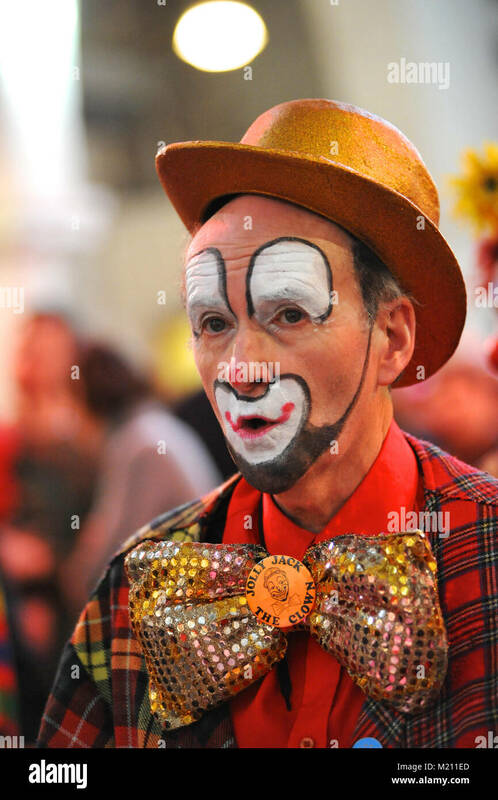 The service, which has been an annual tradition since 1946, is held in memory of Joseph 'Clown Joey' Grimaldi (1778-1837), the most celebrated English clown who was born and performed in London. The unique church service is held on the first Sunday of each February and a wreath is laid in Grimaldi's honour.